One of my childhood dreams has always been to become a space travelling super hero, and thanks to the magical world of Disney Cruise Line those dreams might come true. Early 2017, Disney Cruise Line is offering guests the chance to celebrate the legendary adventures and iconic characters from the Star Wars saga during the Star Wars Day at Sea. During 15 cruises to the eastern and western Caribbean the power of the Force and the magic of Disney will be combined for an out-of-this-galaxy cruise experience unlike any other. 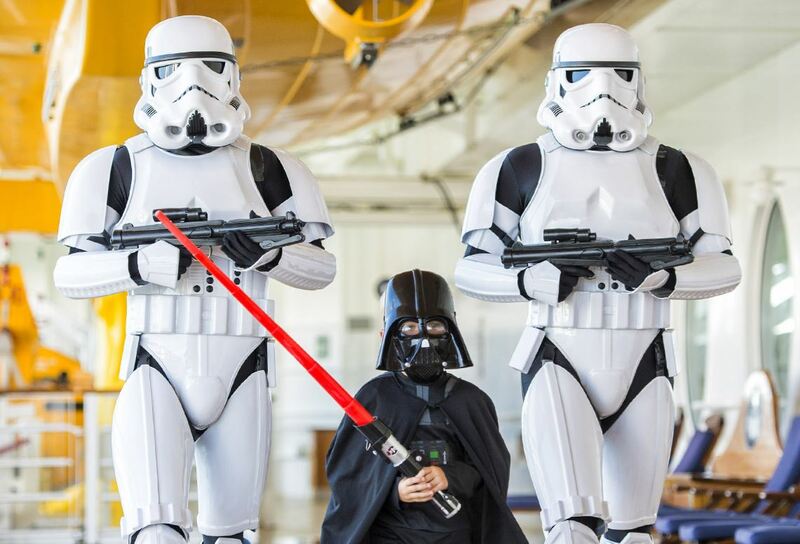 Each sailing will feature a full day of dark side and light side fun, including official appearances of Star Wars characters, a deck party and fireworks, Star Wars-themed family and youth activities, at-sea screenings of Star Wars films, unique food and beverage offerings, and special merchandise. 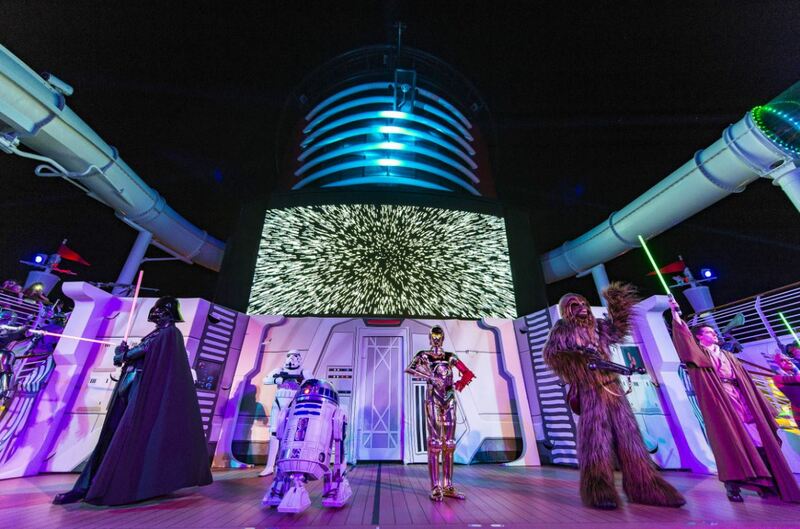 The Star Wars Day at Sea will finish with an exciting Star Wars Deck Party filled with music, a galactic dance party and the arrival of Star Wars characters on the deck stage ending with a spectacular display of pyrotechnics, lighting and sound effects set to a medley of Star Wars. 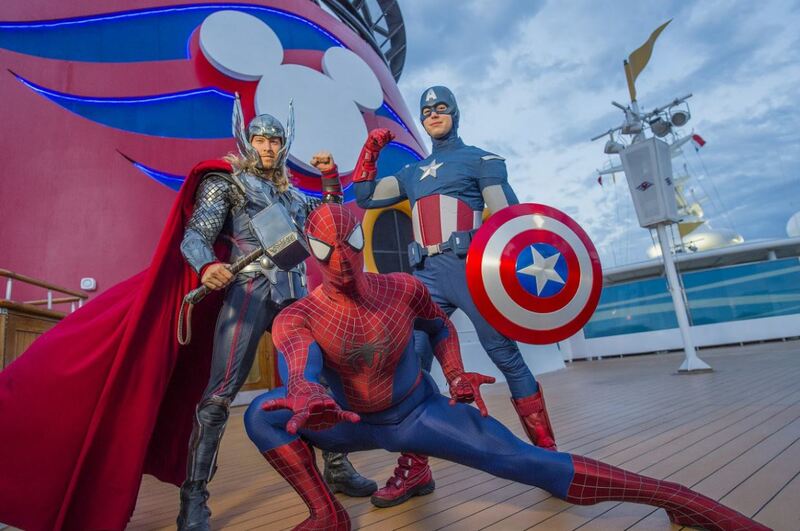 In 2017, Disney Cruise Line is also giving guests the opportunity to unite and celebrate the epic adventures of the legendary Super Heroes and Super Villains from the Marvel Universe during a brand-new, day-long celebration: Marvel Day at Sea. During one action-packed day on each of the seven special Disney Magic sailings, guests will be transported to a new realm of possibilities when the Marvel Universe assembles on the ship. The event will feature all-day entertainment including exclusive interactions with some of the mightiest Marvel Super Heroes and the menacing foes that oppose them, an extraordinary deck party, Marvel-themed youth activities, special merchandise and unique food and beverage offerings. The Marvel Day at Sea will host an awesome mix of immersive entertainment that is sure to empower guests to unleash their inner super hero as they assemble their own super hero community onboard the Disney Magic on this very special day. During the Marvel Day at Sea guests can meet-and-greet and have photo ops with Spider-Man, Captain America, Thor, Iron Man, Hulk, the Avengers and other Marvel Universe Super Heroes. Also featured will be exclusive at-sea screenings of fan-favorite films from the Marvel Cinematic Universe including the newest theatrical releases, as well as viewings of the Disney XD shows: Marvel’s Avengers Assemble, Marvel’s Ultimate Spider-Man and Marvel’s Guardians of the Galaxy. For young heroes-in-training, Marvel-themed trivia games, activities and arts and crafts will be offered throughout the day in the Marvel’s Avengers Academy in the Oceaneer Club. A spectacular deck-party with music, dancing and games culminating in a stunning display of themed pyrotechnics, lighting, sound effects and the largest collection of Marvel Super Heroes and Super Villains ever assembled on a cruise ship will conclude the action-packed day in style. The Marvel Day at Sea will be on seven special seven- and eight-night Disney Magic Bahamian cruises departing from New York on Oct. 6, 14, 28; Nov. 4, 11 and 18, 2017. All will include a stop at Disney’s private island Castaway Cay and Port Canaveral, Fla., with a day at the Walt Disney World Resort. The special Marvel Day at Sea will aslo be held on one seven-night Canadian Coast cruise departing from New York on Oct. 21, 2017, with stops at Charlottetown, Sydney and Halifax.